Minds in Liverpool's dressing room have been focused on Burnley since the immediate aftermath of the Merseyside derby, Fabinho has explained. The Reds will take on Sean Dyche’s side on Wednesday evening - a little over 72 hours after the final whistle of a remarkably dramatic meeting with Everton, which was settled by Divock Origi’s 96th-minute winner. However, the Premier League’s relentless schedule means Jürgen Klopp’s squad had little time to bask in a moment that sparked jubilant celebrations inside Anfield. 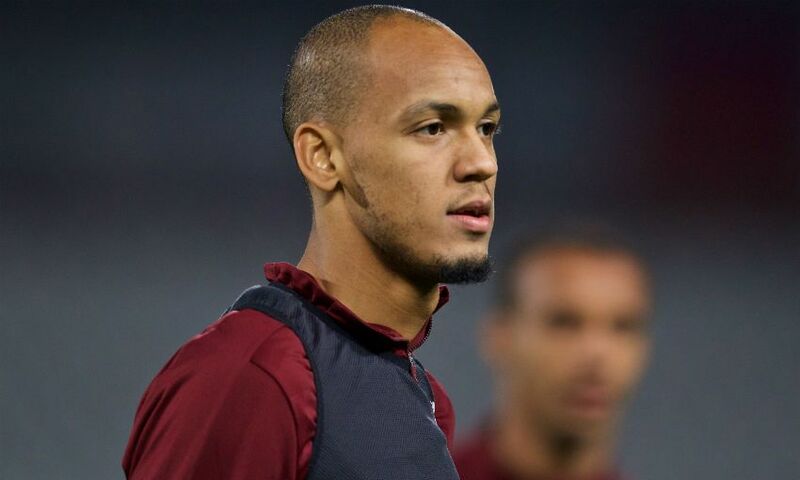 “Without a doubt,” Fabinho replied, when asked by Liverpoolfc.com whether the team had to quickly retrain their sights on the trip to Turf Moor. “When you’ve got a lot of fixtures in a short space of time after each game, whatever the result was, you have to immediately start preparing for the next game. Burnley have endured a tough start to the season and go into Wednesday’s match winless in their last seven top-flight outings. Fabinho, though, expects the Clarets to provide Liverpool with a stern test. The Brazil international said: “The players mention that it’s a difficult place to play. But even before I came here, I knew Burnley as a tough, physical team who were very difficult to beat at home. The visit to Turf Moor represents the Reds’ second of eight matches across all competitions in December, but Fabinho has no doubt that Klopp’s squad are equipped to deal with the difficulties such a gruelling run can pose. “We know it’ll be a really tough month. We have eight games this month, we are prepared for this run of fixtures - important games against big sides,” the 25-year-old continued. “We’ve got the Champions League game which will determine our future in the competition and in the Premier League it’s an opportunity to stay at the top and open up a gap on the teams behind us. “We know that recovery time will be short, we need to recover well after each game. We have everything we need to do that here at the club, the squad are prepared. The coach says that he’s going to need all of us available, so we aim to be prepared.